Vijay 61 is a project that is beginning to take shape steadily. Already we know that Atlee is the most probable director, with high volume talks of the script being written by the Baahubali writer K.Vijayendra Prasad. We have another important update on the upcoming Ilayathalapathy project. 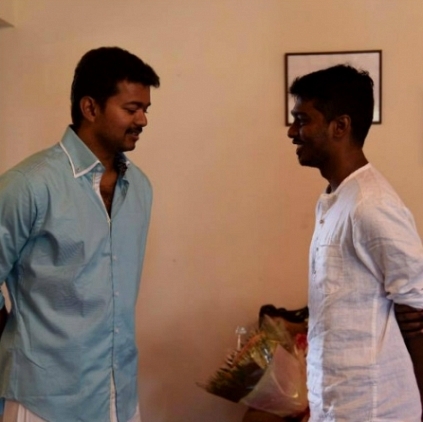 Who is going to play the lead opposite Vijay in this film? If the news gets officially confirmed, Kajal will then be the lead in two giant films, Thala 57 and Thalapathy 61 at the same time. She is also the lead for Vikram’s next with director Socrates, notably. People looking for online information on Kajal Aggarwal, Vijay, Vijay 61 will find this news story useful.